Last updated on September 25, 2013 May 8, 2017 by Katie M Anderson for Armagard Ltd.
One of the biggest challenges posed by overheating digital signage is how to keep it at an ideal temperature. Changes in temperature are much more difficult to predict or control outdoors than they are indoors, which means that extra precautions often need to be taken. If you are positioning your digital signage technology outside, overheating can be a big risk. 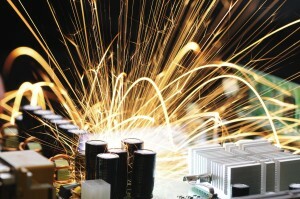 When electronic hardware get too hot, the heat can cause problems to occur in vital circuits. This can mean that electrical items such as digital signage systems become temperamental, or even stop working altogether. Not only does this mean that the lifespan of your products will be vastly reduced, the downtime also means that your adverts will no longer be running. Heat is one of the top causes for electrical failure. In order to avoid problems like this, you will need to take a proactive stance. 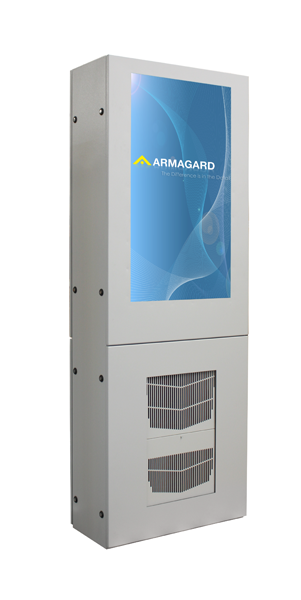 With an Armagard custom enclosure there are several products and systems available that will prevent your digital signage from overheating. Investing in a preventative system like this right from day one will reduce the risk of damage to your digital signage and can therefore be extremely cost effective. Here are four key ways that you can reduce the risk of overheating digital signage and protect your equipment. Where you position your outdoor AV equipment it can have a big impact on how hot it gets. Because of this, spending time researching your install location is very important. The ideal installation location would be in an area that is generally under shade. An area like this will be cooler than an area that is in direct sunlight, and will reduce vital margins of heat. Keeping your equipment a few degrees cooler could make a big difference to its long-term efficiency. Ideally, you should decide where you are going to install your system before you settle on the system itself. Different digital signage models and custom enclosures have different operating temperatures, and it is best to choose one which will suit the place you plan to install it. Outdoor digital signage systems are likely to need more regular maintenance and filter changes than indoor systems. If you take care of your equipment in this way, you will be much better placed to recognise if the temperature is becoming an issue. These portrait enclosures make great use of the shade. Of course, it is not always possible to install your AV equipment in a shaded place. In many cases, there is very little flexibility in where a digital signage system needs to be installed. High profile installations may need to be located in direct sunlight, or even besides other electrical equipment that give off heat. In these cases, it would be necessary to consider more efficient ways to prevent the equipment from overheating. It is also important to consider that even a digital signage system in a generally shady spot might be at risk of overheating during the warmest period of the year. Though careful positioning can certainly help to reduce the likelihood of it getting too hot, it does not take it away altogether. There are a number of different systems that can be installed within a custom enclosure to actively work to keep overheating digital signage systems cool. One of these systems is Convection Cooling (CC). A CC system can be an effective method within mild to colder climates, and for indoors. However, on its own it is not the answer for hot environments. If you are looking to use the CC method to cool your equipment in a warmer environment, you would need to combine the system with a fan. These two methods together would increase the airflow through your digital signage custom enclosure, and therefore, increase the rate of cooling. 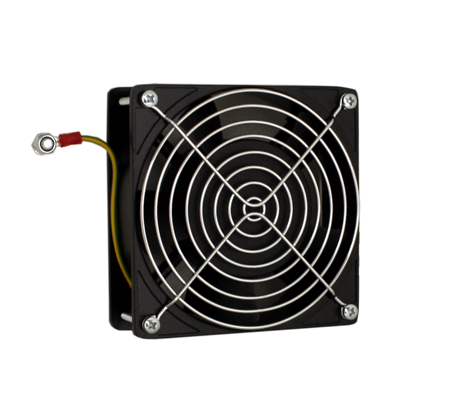 Armagard’s LCD enclosures use numerous fans for forced convection cooling. CC is most effective when used in totem units. This is due to the shape of these enclosures and the natural effect of hot air rising. When a CC and fan system are used together in these LCD enclosures, the rising hot air is channelled with fans and forced out of the unit, meaning that the AV equipment inside will stay cooler. Though this type of system is not as effective as some of the others that are available, it tends to be one of the less expensive options. It can be a great option for outdoor screens in moderate to warm climates. Another option for keeping your overheating digital signage system cool is a heat exchanger. These systems work by transferring heat from inside a custom enclosure to the outside atmosphere. If a low to moderate heat load is being produced by the electronic system, this method is effective in transferring the heat out. They work when the electronic components in the technology are able to operate at a temperature which is above that of the ambient air. The humidity of the environment is not an issue for a heat exchanger, which can be a big benefit in some climates. Though they can be effective in certain circumstances, overall, heat exchangers can be less effective than other heat managing options. They tend to be large and therefore, add a lot of weight and bulk to custom enclosures. Another issue that can occur if the ambient temperature rises too high is that they are unable to sustain the heat transfer process. This becomes an issue during heat waves. Furthermore, heat exchangers are sealed, which means they cannot be used in conjunction with cooling convection systems or fans. One of the most effective ways to keep your overheating digital signage system cool is to use an air conditioning (AC) unit. AC systems work best with equipment that has a low operating temperature. This is because when you are using an AC unit, the temperature inside the unit will be maintained at or below the ambient temperature. This type of heat management system is ideal for systems that produce a moderate to high heat load. A double sided 55” outdoor totem with air conditioning. The efficiency of AC systems means that that are often the best options for warm to extremely warm climates. They are also much better able to deal with fluctuations in temperatures, which mean they work well in areas where heat waves are common. Air conditioning units also remove humidity as a part of its operating cycle. Like heat exchangers, AC units are sealed and therefore, cannot be used alongside convection cooling systems or fans. Which of these methods is the most effective? In most cases, air conditioning units are considered to be the most effective cooling system. 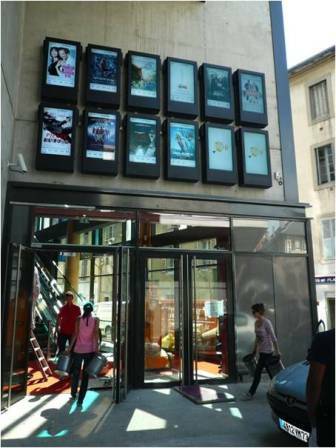 The efficiency of AC units means that they are usually best placed to protect digital signage systems from overheating. Though air conditioning units tend to be more efficient than heat exchangers, there is actually little difference in price between the two options. In addition, AC units have the benefit of being far less bulky, and being much better at dealing with high ambient temperatures. Whatever option you decide is best for you, it is important to make sure you are taking active steps to keep your outdoor AV equipment cool. Investing in a custom enclosure with a built in cooling system might seem like an added expense, but it is a necessary one. Protecting your digital signage from overheating will increase it’s efficiency, reduce the risk of damage and ensure that the work your digital signage is doing is not interrupted. This entry is filed under digital signage enclosure. You can follow any responses to this entry through the RSS 2.0 feed. Both comments and pings are currently closed.